Chloe Arnold (Dancer/Actress/Director/Choreographer) has taken the world by storm with her artistry and entrepreneurial spirit. As a performer, she was featured in Beyonce’s music video “Upgrade You”, the hit show Imagine Tap, COBU 3D, Outkast’s movie Idlewild (Universal Pictures), Sean Paul’s music video for the movie Step Up, Sadlers Wells, London & City Center, NYC in Jason Samuels Smith’s ACGI, and as a lead in Debbie Allen’s musical production “Alex in Wonderland”. 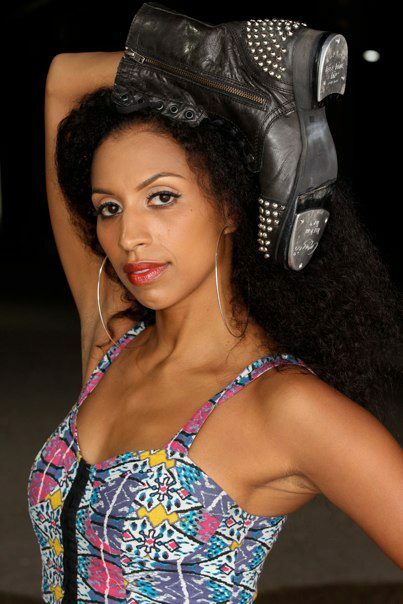 Ms. Arnold was the Managing Producer of the Debbie Allen Dance Academy (DADA) for 3 years and was awarded recognition from the City of Los Angeles as the Co-Director of the Annual Los Angeles Tap Festival. She was the Associate Choreographer for ABC’s American Celebration, Debbie Allen’s Pearl (Geffen Playhouse), and is choreographer for her performance group Syncopated Ladies. Performance credits include Debbie Allen’s Brothers of the Knight, Soul Possessed, and Sammy (the life and times of Sammy Davis Jr.), Savion Glover’s All Star Tap Revue, The Oneness Awards honoring Michael Jackson, The Legacy of Cab Calloway tour, Bill Gates’ Annual Meeting (Seattle). Film and television appearances include UPN’s “The Parkers”, “One on One”, Nickelodeon’s “Brothers Garcia”, The Jerry Lewis Telethon (Emmy Award Winning number), Dean Hargrove’s short film “Tap Heat”, and the AMC documentary “Cool Women”. Ms. Arnold directed and wrote a short film and an independent music video, and graduated Dean’s List with a degree in Film from Columbia University.